Although the information that follows is aimed at track day addicts, drifters, and drag racers all car enthusiasts should find it interesting. Why upgrade your car's exhaust system? The factory-fitted exhaust system on your car was designed for maximum noise reduction. In the process it suppresses the flow of exhaust gases from the engine, and creates what we refer to as 'backpressure'. Although a certain amount of backpressure is fine, it also reduces power output. In essence the engine now has to use a percentage of the power it produces to force all those gasses through the exhaust system. Boosting engine power is one of the main benefits of a performance exhaust system. A good system helps to drag an increased amount of air through the head, in the process pushing up the engine's power output. Apart from having more power on tap, one of the first changes you will notice after installing a performance exhaust system is that subtle, although unmistakably aggressive change in the car's exhaust note. 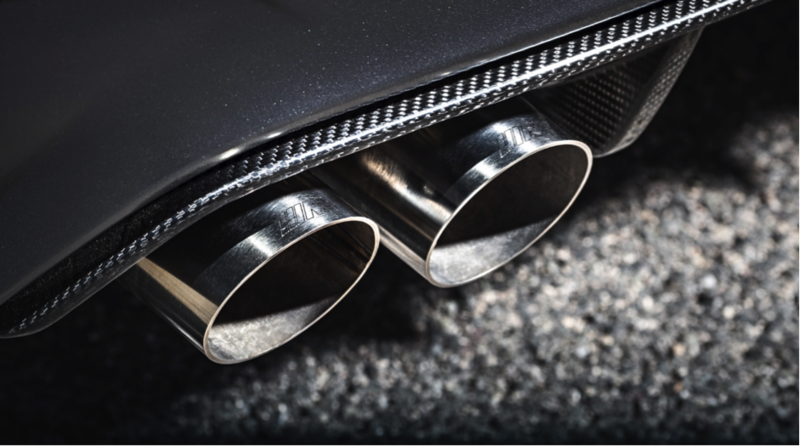 Many of the top exhaust systems out there don't stand out because they produce an ear-shattering amount of noise, but because of that distinct low 'growl' sound one hears during acceleration. A major factor to take into account when upgrading your car's exhaust system is the material used to manufacture that system. Most factory-fitted exhaust systems are manufactured from mild steel, so they deteriorate as time passes. The top aftermarket systems on the market use either aluminized steel or stainless steel. An aluminized steel system does offer improved longevity compared to a standard system, but if you really want something that could outlast your car, buy a stainless steel system. A quick Google search will undoubtedly produce a long list of sites where you can buy aftermarket exhaust systems. That is not necessarily the best option. Using a search engine dedicated to performance and aftermarket car parts such as Compare Parts will undoubtedly produce more relevant results. When buying an aftermarket exhaust system it's vital to consider how your will be using the vehicle. Most aftermarket systems improve your car's appearance, with their highly polished mufflers and bigger tips producing an aggressive yet refined look. Remember though that while most vehicles benefit from slightly bigger piping, going too big actually hurts your car's performance. If looks are not your main criteria, there are also aftermarket systems available that look little different from their stock counterparts, yet still deliver improved performance. Exhaust systems offer better performance when they're hot because the hotter the exhaust gas, the faster it moves. Keeping the heat produced by the engine in the exhaust pipes not only improves gas flow, but also helps to reduce engine bay temperatures. This means reduced induction heat-sock - and therefore more power. This means that one of the least expensive yet most useful exhaust system upgrades you can invest in is heat-wrap - a very affordable thermal 'bandage' which is (as far as possible) wrapped around the whole exhaust system. There's also top-end ceramic coatings for sale that do an ever better job, but they are also more expensive.